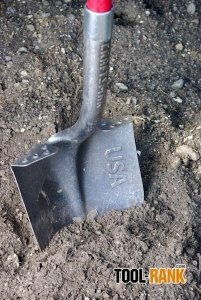 Though its long red handle with striking black grips is impressive, the Craftsman digging shovel is not made just for show; the steel-reinforced fiberglass handle is made for gripping, and in my hands I was ready to do some diggin'. 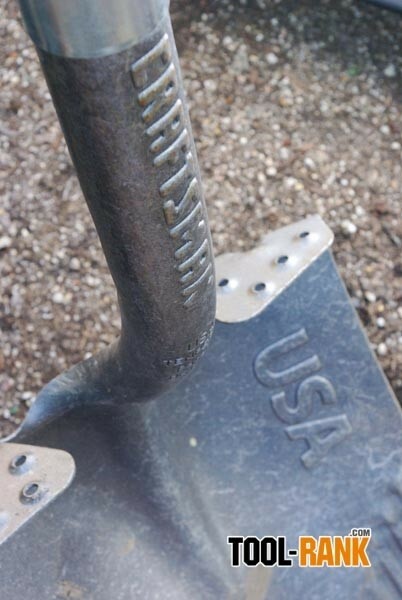 With the strongest handle-to-head connection on the market, I confidently thrust my boot on the power step foot plate plunging the serrated 14 gauge steel blade into the hard soil. The foot placement of a typical shovel is a rolled edge at the top of the blade, and jumping full force on that edge can be very uncomfortable; but the power step feature on the Craftsman shovel gives a surface area of approximately 3 ¾ inches, so powering down on the power step is comfortable and offers greater leverage. The color of the 14 gauge steel blade shows the degree of tempering used to give the blade its toughness; and in my hard rocky soil a tough blade is a must. 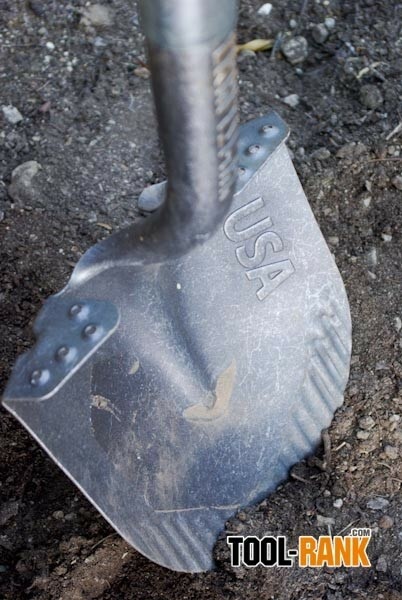 After using the American made Craftsman shovel on my wife's project, as well as a variety of projects around the yard, my old wood-handled shovel has been re-allocated to picking up after the dog. 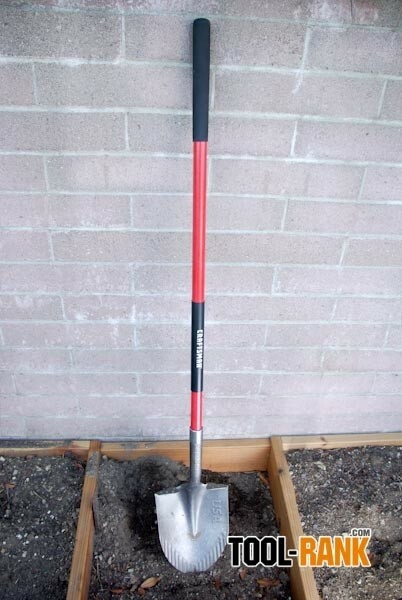 The regular list price for this shovel is $29.99, and I believe well worth that price; but I've see it at $24.99 and even at a sale price of $17.99 through Sears' web-site.